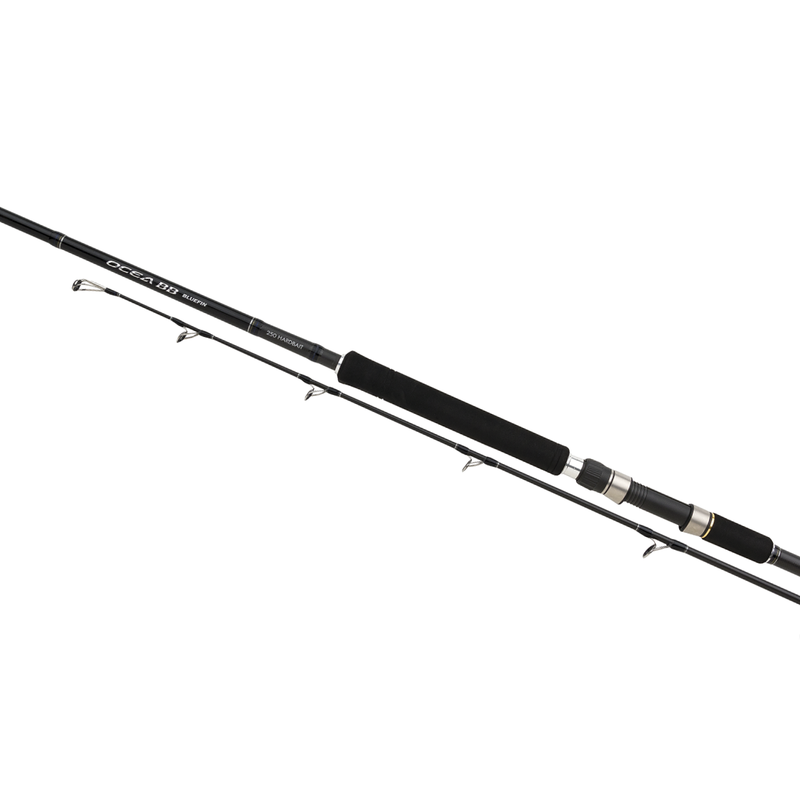 The Ocea BB Bluefin spinning series is specially designed for targeting Bluefin tuna in the Mediterranean. The tip is softer than the heavy game models, which enables you to cast smaller lures and metal jigs at long distances to feeding fish. The rubber gimbal cap and long front grip produces a comfortable solution for long hard battles with powerful fish. Shimano High Pressure Carbon is a process which creates stronger, more responsive blanks. Pressure is applied to the blank surface during curing (heating) which evenly distributes the resin through the carbon fibre matrix. The result is a much stronger, more consistent performance and improved responsive. Adding Biofibre reinforces the carbon fibres in all directions. This gives outstanding strength, shock resistance, lightness and power. A strong and durable material, Alconite is the latest in a long line of ceramic rings developed by Fuji. Alconite is so durable that it can be made thinner than any other ring and is strong enough to handle the most demanding fishing styles. Built to last, Fuji reel seats are designed with graphite nylon bodies, exclusive S-4 stainless steel hoods, with lined cushioned inserts to offer a lightweight reel seat with superior strength. Uniform design for increased comfort, and with self aligned hoods that provide a solid lockdown on your reel foot which will never back off while fishing.